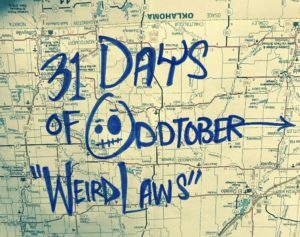 Brett and Amy are breakin the law on this Oddtober episode of the Travel Oddities show….yeah not really. But we are talking about the weirdest top 10 Halloween laws. We’ll tell you the best place to live if you have a fear of clowns and we’ll find out if Brett has ever worn a corset. Inquiring minds want to know. All this and more on this, the third day of ODDTOBER…. (insert Vincent Price laugh here).